Theme Is Revealed For New Season Of AMERICAN HORROR STORY! Now that Comic-Con is in full effect, the title for the new season of AMERICAN HORROR STORY Season 8 has been revealed! The new season of AMERICAN HORROR STORY will be sub-titled APOCALYPSE. AHS co-creator Ryan Murphy recently that the new season will be a crossover between the first season's Murder House story and the third season's Coven theme. 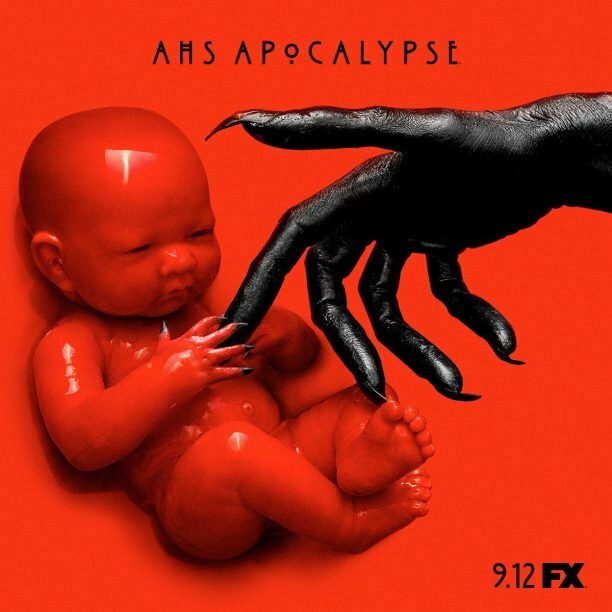 AHS: APOCALYPSE will star Sarah Paulson, Evan Peters, Kathy Bates, Adina Porter, Cheyenne Jackson, Billy Eichner, Leslie Grossman, Emma Roberts, and Billie Lourd. Some of them potentially reprising their roles from previous installments. Also joining the cast in season 8 will be Joan Collins. The series will premiere on FX on September 12th.